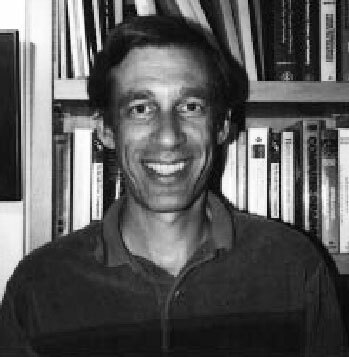 The 1996 ACM SIGGRAPH Computer Graphics Achievement Award is presented to Marc Levoy for his pioneering work in volume rendering, by which volumes are rendered directly from sampled data without first creating an intermediate surface representation. Volume rendering creates images that represent the underlying data very accurately and can reveal fine details that might be obscured with surface methods. This work has made a significant impact on the fields of medicine and scientific visualization. Dr. Levoy began his work in volume rendering at the University of North Carolina, where he published many of the major papers in the field. He continued to advance the field by developing new algorithmic approaches, finding ways to improve efficiency, and demonstrating practical applications for the technique. Following his initial paper where he described the classic volume ray tracing algorithm, Dr. Levoy has published a number of papers that have continued to break new ground. These include a hybrid polygon/volume ray tracer and a volumetric morphing algorithm. He has also developed several algorithms for increasing the efficiency of volume rendering, including taking advantage of spatial coherence, adaptively refining the image, accounting for the observer’s gaze, rendering in the frequency domain, and using a shear-warp factorization. More recently Dr. Levoy has begun to use volumetric techniques to aid in the acquisition of 3D models by using a volume representation to integrate multiple range images. Marc Levoy began his computer graphics career as a freshman at Cornell University in 1971, received a Bachelor of Architecture degree in 1976, and a M.S. of Architecture in 1978. He was the principal developer of the Hanna-Barbera Computer Animation System and served as director of the Hanna-Barbera Animation Laboratory from 1980 through 1983. He then pursued studies in Computer Science and received a Ph. D. in 1989 from the University of North Carolina at Chapel Hill. Today he is a member of the faculty of Computer Science and Electrical Engineering at Stanford University. Professor Levoy received the NSF Young Investigator Award in 1991. He has published over 40 papers on computer animation, volume rendering, and machine vision. Volume rendering has made a major impact on the many scientific, engineering and medical disciplines that create and display large multi-dimensional datasets. Marc Levoy has been instrumental in opening up this important area of research and is continuing to advance it. The quality of his work reflects both his creativity and his high level of academic professionalism. 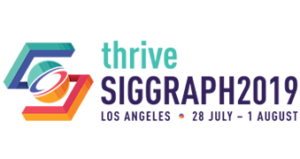 ACM SIGGRAPH is pleased to present the Computer Graphics Achievement Award to Marc Levoy. Levoy, M., “Display of Surfaces from Volume Data,” IEEE Computer Graphics and Applications, Vol. 8, No. 3, May 1988, pp. 29-37. Levoy, M., “Volume Rendering by Adaptive Refinement,” The Visual Computer, Vol. 6, No. 1, February 1990, pp. 2-7. Levoy, M., “A Hybrid Ray Tracer for Rendering Polygon and Volume Data,” IEEE Computer Graphics and Applications, Vol. 10, No. 2, March 1990, pp. 33-40. Levoy, M. and Whitaker, R., “Gaze-Directed Volume Rendering,” Computer Graphics (Proc. 1990 Symposium on Interactive 3D Graphics), Vol. 24, No. 2, Snowbird, Utah, March 1990, pp. 217-223. Levoy, M., “Efficient Ray Tracing of Volume Data,” ACM Transactions on Graphics, Vol. 9, No. 3, July 1990, pp. 245-261. Totsuka, T. and Levoy, M., “Frequency Domain Volume Rendering,” Proceedings of SIGGRAPH 93 (Anaheim, California, August 1-6, 1993). In Computer Graphics Proceedings, Annual Conference Series, 1993, ACM SIGGRAPH, pp. 271-278. Lacroute, P. and Levoy, M., “Fast Volume Rendering Using a Shear-Warp Factorization of the Viewing Transformation,” Proceedings of SIGGRAPH 94 (Orlando, Florida, July 24-29, 1994). In Computer Graphics Proceedings, Annual Conference Series, 1994, ACM SIGGRAPH, pp. 451-458. Lerios, A., Garfinkle, C., Levoy, M., “Feature-Based Volume Metamor-phosis,” Proceedings of SIGGRAPH 95 (Los Angeles, CA, August 6-11, 1995). In Computer Graphics Proceedings, Annual Conference Series, 1995, ACM SIGGRAPH, pp. 449-456. Curless, B. and Levoy, M., “A Volumetric Method for Building Complex Models from Range Images,” Proceedings of SIGGRAPH 96 (New Orleans, LA, August 4-9, 1996). In Computer Graphics Proceedings, Annual Conference Series, 1996, ACM SIGGRAPH, pp. 303-312.